Looking for a garage to fix your Cambelt in Leeds? Save money: Instantly compare Cambelt Repairs prices in Leeds to find the best deal. Quick and easy: Simply enter the registration number of your car and your post code, compare prices, choose a local garage in Leeds and book your Cambelt Repairs. "I've been using this garage for a while now and every time they have delivered top notch service! Highly recommended"
"Very happy with all aspects"
"Really happy with the service I received from this garage, very helpfull staff, kept me informed with the work carried out along the way." "Great service and kept informed"
"Fab team at Troy. 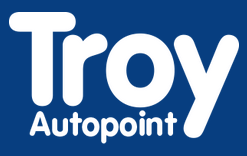 After a couple of years of not using them use to having a new car and trying somewhere closer to home I decided to go back to Troy as I've always had great customer service from them in the past, and I'm glad I did. It's a bit awkward to get to from where I live but they kindly gave me a lift home and it's worth the hassle of public transport to know that I can rely on the work being done." Leeds is a bustling city with its finger very firmly on the pulse, host to world-class events, a thriving live music scene, pioneering theatre and leading 20th C. art. With an abundance of award-winning eateries, Victorian shopping arcades, innovative museums and stylish bars, this often underrated city really is something to write home about.